This week’s DP photo challenge is Seasons. Yellow is my favorite color for ushering in Spring. It signifies hope and live. The top photo was taken when we were on our way in Luoping, Yunnan in China. The second photo, which I reckon is more beautiful, was taken in XiangShan, Beijing in China. The yellow chrysanthemum were more randomly arranged, they were dancing to welcome Spring! 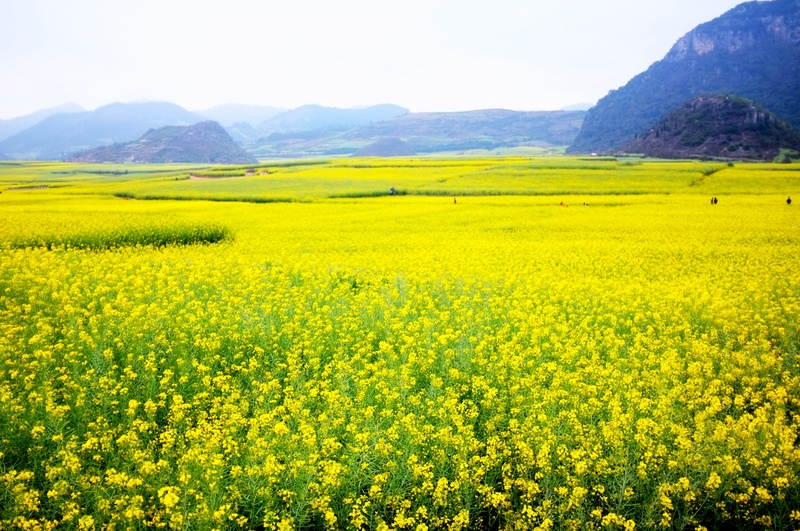 Lastly, but not the least, the photo of Canola or Rapeseed flowers were taken in Luoping, China in early Spring. I was thinking of drafting a post on the Trees and Roots on the Milford Track; but on going through my archive, I found this picture which I thought should be uploaded now. The light was shining through the foliage, when we visited the HongLuo Temple in the outskirts of Beijing a couple of years ago. I have seen many ginkgo trees before but this one was at its best with the light shining through, making the leaves more or less translucent. I am late for this theme but still want to submit another entry. Not sure which photo to post first. Both photos were taken when we walked the Plover Cove Dam in Tai Po, Hong Kong. The first is a close up, in darker light. The second one gives a lot more about the background. 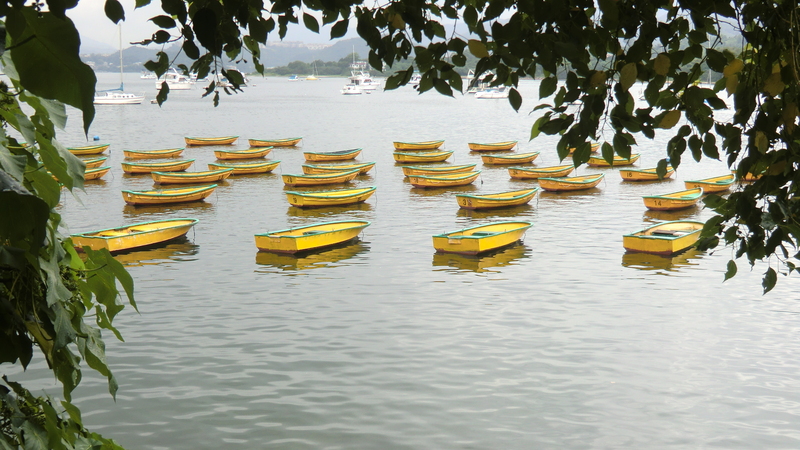 It was taken in a cove where pleasure boats will anchor and where rowing boats are on hire. 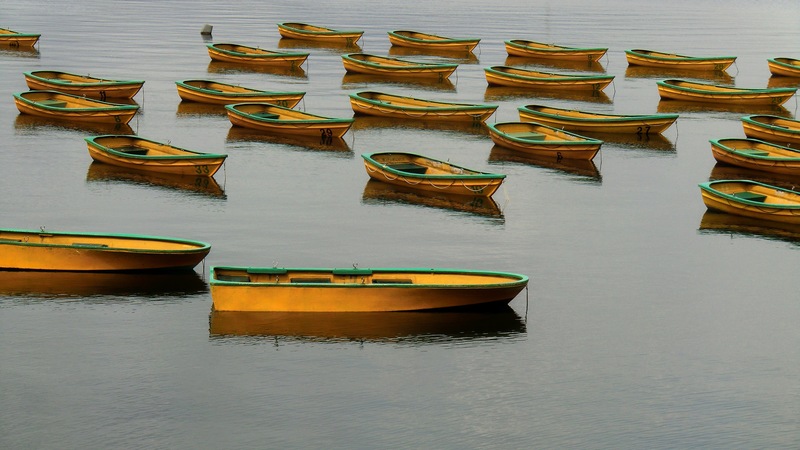 In any case, I like the rowing boats and the yellow color, they seem to be uplifting and give a feel of freedom! On Monday, many of the Thais dress in yellow, the day of the week on which their king was born, to show respect for him. After the recent trip to Luoping, Yunnan in China, I am overwhelmed with yellow . . . . I have so many photos showing the yellow canola or rapeseed flowers all over the place. Should I showcase them . . . . . . . . on each Monday? ?